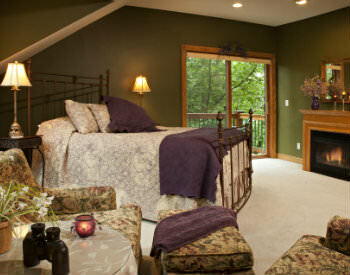 Experience Minnesota lodging with a difference at Woodland Trails Bed and Breakfast. 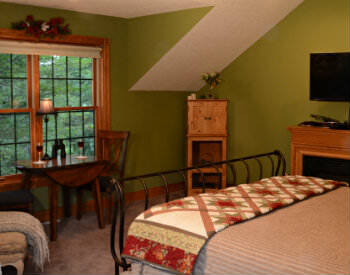 Our newly built B&B in the Hinckley, MN area offers an elegant and inviting country atmosphere not normally found in a typical hotel. 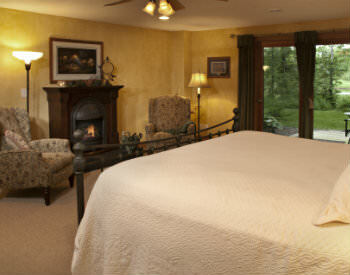 Each room features the coziness of an electric fireplace, comfortable chairs for reading or lounging and a private deck. 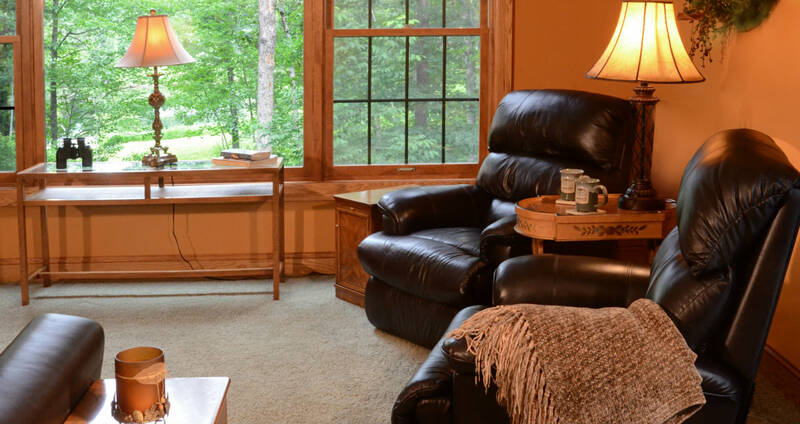 Offering the best of both worlds, our accommodations are situated on a secluded, private woodland estate, yet they are also a convenient alternative to hotels in nearby cities such as Hinckley, MN or Hayward and Danbury, WI. Click here for a chart showing room comparisons. A deposit in the amount of $75 is required with any reservation, except when payment will be made with a Woodland Trails Gift Certificate. The deposit may be paid with Visa or MasterCard or by check which must be received within 5 days. The deposit is fully refundable up to 16 days before arrival; at 15 days before arrival the deposit becomes non-refundable. If your plans change, please notify us as soon as possible so we have a chance to rent the room to another party. There is no penalty for cancellation beyond possible forfeiture of the Reservation Deposit as specified here. 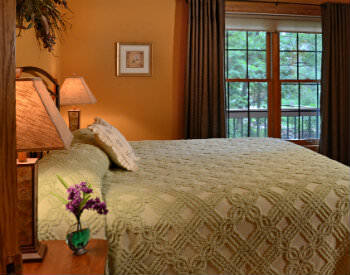 Check In: 4:00 – 7:00 p.m. or later by special arrangement. Check Out: 11:00 a.m. or by special arrangement. 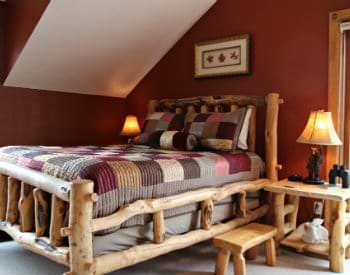 Single or double occupancy only. Guests 18 and over are welcome. No smoking inside. Smoking is permitted on open porches and patios.